For more than seventy years, the United States dollar has been the reserve currency for the globe. After World War II until quite recently, more than 70% of all foreign exchange transactions and 40% of all world exports have been denominated in dollars. The U.S. dollar will remain the world’s reserve currency as long as OPEC continues to sell crude oil in dollars. Dollar debasement has defrauded U.S. creditors and individual Americans. Yet, the dollar has maintained global supremacy because of its oil backing. The petro-dollar system forces nations to hold enormous dollar reserves in order to buy oil from OPEC. 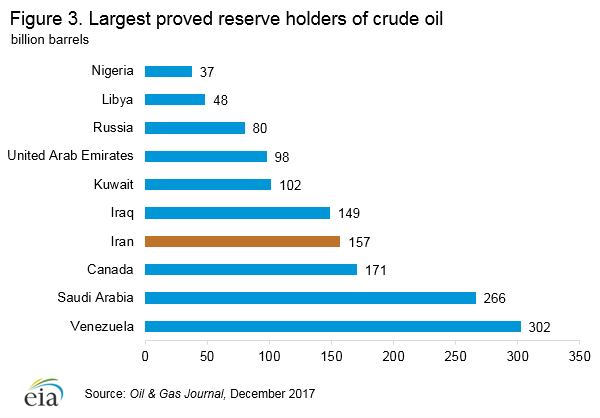 Although most OPEC oil is still transacted in dollars, dozens of oil-producing countries have attempted to replace the dollar with gold and other currencies. Dollar dominance has depended on the U.S. military to defend the status of the “petro” [petroleum] dollar. When the bargain was made, the paper dollar was “gold-backed” (100% convertible to gold). The United States was essentially exchanging gold for oil. Under the original contract, OPEC nations could exchange their oil export dollars for U.S. gold at $35 per Troy oz. Prior to the decision to suspend gold convertibility, all U.S. government creditors could exchange U.S. dollars for U.S. gold [from 1792 until 1971]. Leading up to that pivotal year, the Federal Reserve had created massive credit to finance the Vietnam War, Medicare, Medicaid, and multiple Great Society programs. In response to the reckless money-printing, the watching world had rushed in alarm to convert paper dollars to U.S. gold. President Nixon closed the “gold window” after European central banks exchanged their dollar reserves for more than 17,000 metric tons of U.S. gold — more than 571,428,571 Troy ounces of physical gold. Nixon’s “temporary measure” to stop the gold hemorrhage became permanent. After the dollar was permanently de-linked from gold, members of the OPEC cartel grudgingly continued to trade oil exclusively in dollars. Despite the debasement of the currency since 1971, the dollar has retained its status as the global monetary reserve because –in effect– it is backed by oil. American foreign policy is dedicated to making sure OPEC oil producers keep their original bargain. In 2000, Saddam Hussein nearly caused a run on the dollar by demanding Euro for Iraqi oil. The decision to reject the dollar and trade the third largest supply of OPEC oil in Euro was not tolerated. Former U.S. Secretary of the Treasury, Paul O’Neill, said the main topic of President G. W. Bush’s first Cabinet meeting was how to find a way for a pre-emptive invasion of Iraq. Regime change was topic ‘A’ only ten days after Bush’s inauguration [Jan. 20, 2001]. Secretary O’Neill said the main topic of the second Cabinet meeting was the future occupation of Iraq. 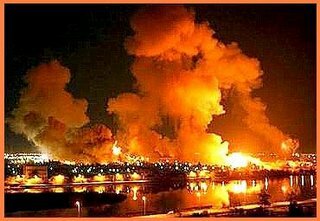 O’Neill was fired for his widely-reported revelations: Eight months before September 11th, 2001 [9-11], President Bush and his Cabinet discussed the invasion and occupation of Iraq. Iraq abandoned the Euro, and resumed trading crude oil in U.S. dollars two months after the 2003 invasion. down 62% against the Euro [from 82¢ to $1.33]. More than twenty African nations produce crude oil; a larger number of countries have proven oil reserves and/or proven natural gas reserves. Libyan oil reserves are the largest in Africa. In 2011, the head of Libya officially rejected both the dollar and the Euro, and demanded gold payment for oil. The rest is history. The decision to require gold for oil was not tolerated [US/NATO invasion March 19, 2011]. Prior to the 2011 invasion, Libya’s Qadhafi had conceived and financed a plan for African economic independence. After years of discussion, the heads of fifty-three countries agreed to unify their sovereign nations with one gold currency. In 2004, the pan-African Parliament laid plans for the African Economic Community and a single gold currency by 2023. Qadhafi was the Chairman of the African Union in 2009. Members chose the Libyan dinar to become the gold currency for the continent and the only possible money to buy African oil. Egypt, Sudan, South Sudan, Equatorial Guinea, Congo, Democratic Republic of Congo, Tunisia, Gabon, Uganda, Chad, Suriname, Cameroon, Mauritania, Morocco, Zambia, Somalia, Ghana, Ethiopia, Kenya, Tanzania, Mozambique, Cote d’Ivoire, South Africa, Libya, Angola, Nigeria, and Algeria. The petro-dollar is a key to understanding American foreign policy. The U.S. will not tolerate “rogue” nations making non-dollar deals. Brazil, Russia, India, China, South Africa [BRICS] signed an agreement on April 2011 to use their own currencies rather than dollars when issuing credit to each other. Russia’s Prime Minister Putin and China’s Premier Wen Jiabao met in Saint Petersburg on Nov. 2010. They agreed to use their own currencies rather than dollars in bilateral trades. Japan and China are phasing out of dollars in their bilateral trades. China has non-dollar oil deals with Angola, Libya, Sudan, Syria, Nigeria, and Iran. Iran has the world’s fourth largest oil supply, the world’s second largest natural gas reserves, and was OPEC’s #2 producer in 2012. The country’s foreign currency reserves have been held in Euro since 2009. On August 19, 2011, Iran’s new Kish Bourse began trading crude oil and gas in gold, Euro, and the dirham [pegged to SDR] in exclusion of the dollar. Iran replaced the dollar in oil trade with India, Turkey, Japan, China, Russia. The West tightened economic sanctions, targeting the Central Bank of Iran: “The U.S. and EU measures targeted oil export revenues… prohibited large-scale investment in the country’s oil and gas sector, and cut off Iran’s access to European and U.S. sources of financial transactions. Further sanctions… targeted the Central Bank of Iran.” [U.S. Energy Information Administration.] On April 18, 2012, Reuters reported Iran’s foreign exchange reserves were down 50%, oil revenues were down 30%, and Iran dropped from OPEC’s #2 oil producer to #5. Since July 2013, U.S. law has forbidden selling gold to the citizens or the government of Iran. If Iran’s Kish Bourse continues to trade oil and gas for gold and other currencies, European countries will not have to hold dollars to buy oil. If OPEC were to trade oil in gold or yuan, countries such as India, Korea, China, Russia, Taiwan, Brazil, and Japan could lower dollar reserves and eventually convert out of dollars. If the dollar lost dominance, the U.S would not be able to cover trade deficits with money-printing. A Memorandum was signed [March 2013] for bilateral trade in Chinese yuan/ Russian ruble: Gazprom (Russian gas export monopoly) and Chinese National Petroleum Corp [CNPC] began the Altai natural gas pipeline project [Oct. 2009] to open Asia to Russia via the ‘Power of Siberia’ route to western China. On April 2, 2014, Reuters reported a $20 billion barter for oil deal between Russia and Iran. Russia signed agreements [June 7, 2014] with 90% of Gazprom Neft customers to switch from dollars to Euro/ Chinese yuan. United Kingdom: China’s Foreign Exchange Trade System announced [June 19, 2014] a bilateral agreement between the U.K. and China for direct Chinese yuan—British pound trade, with no dollar intermediary. Shanghai, May 21, 2014: Putin and Zi Jinping signed a $400 billion, 30-year gas contract between Gazprom and CNPC [Chinese National Petroleum Corp]. The non-dollar deal of the decade will supply ¼ of Chinese demand. The petro-dollar system is reaching the end of its usefulness. Will the dollar remain the primary basis of global trade? Discussions are underway to replace the petro-dollar with a super-currency [super-sovereign currency]. According to the IMF, the next financial crisis will trigger a MONEY STANDARD SHIFT. Defense Secretary Panetta announced “expanded drone warfare” in Africa on Nov. 26, 2012. The Pentagon deployed “military teams” to thirty-five African nations on Dec. 24th, 2012. Where? RWANDA: huge natural gas reserves; LIBYA: largest oil reserves in Africa; WESTERN SUDAN/ DARFUR: major oil source; SOMALIA/ EAST AFRICA: the new Middle East. Prior to the March 19, 2011 US/ NATO invasion of Libya, Libya’s national currency was backed by gold. Since the bombing, not one national “hard” currency circulates anywhere in (for the first time in all history).